News Release from Germanwatch e.V. The Climate Change Performance Index 2019 (CCPI), published at COP24 in Katowice, shows that after three consecutive years of stable CO2 emissions, emissions are rising again. While there is a continued growth and competitiveness of renewable energy, especially in countries that had low shares before, the CCPI shows a lack of political will of most governments to phase out fossil fuels with the necessary speed. Jan Burck, co-author of the CCPI at Germanwatch, comments: "Based on techno-economic developments in the last years, delay in implementation of low-carbon solutions can hardly be justified. While the G20 summit has shown strong support of 19 countries to support the Paris Agreement, the political will of those Governments to set the right frameworks and incentives for its national implementation is not yet reflected in these words." "Before Paris the world was heading to 4-5°C of global warming. Now we are still on a path to more than 3°C, still a catastrophic perspective. The costs of electricity from wind and solar have dropped by roughly a third since then, so all countries can increase ambition and pace", Prof. Niklas Höhne, co-author from NewClimate Institute, adds. 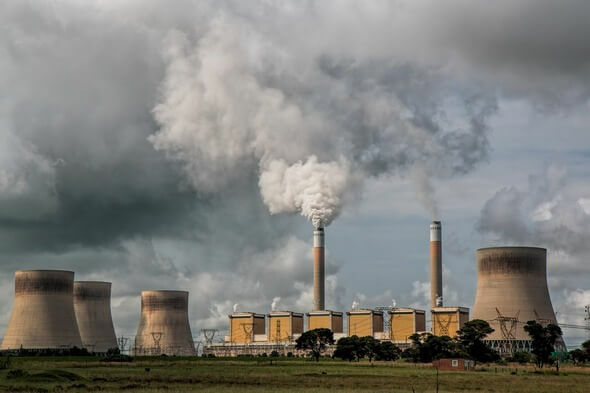 But the gap between current emission levels and what is needed to put the world on track for a well-below-2°C or even 1.5°C pathway is widening. The top three of the CCPI 2019 are still unoccupied, because none of the 56 countries or the EU are clearly on a well below 2°C pathway in their overall performance. Despite bright spots in all categories, not one country performs well in all categories, points out Niklas Höhne. With comparably good ratings in emissions and renewables Sweden again leads the ranking (Rank 4), followed by Morocco that significantly increased its share of renewable energy capacity and has an ambitious national climate target. India moves to rank 11 as a result of an improved performance in renewable energy, comparatively low levels of per capita emissions and a relatively ambitious mitigation target for 2030. Germany which still often hails itself as a pioneer of renewable energy and starter of the energy transition, falls again, from place 22 to place 27 and is now in the middle of medium-performing countries. The country shows a bad performance in the emissions category, because emissions have not decreased since 2009. Even in the renewable energy and climate policy category, the country is only rated medium. Jan Burck explains: "Decisions on a coal phase-out or a strategy to decarbonise the transport sector are still lacking. In addition, a CO2-pricing scheme to ensure for emissions reductions across all sectors is not put in place yet. This leads to a lower national policy rating in comparison to the last years. But the government has the opportunity to improve its rating again with a strong climate protection law next year." China climbs to rank 33, being in the group of the medium-performing countries for the first time. China performed relatively well regarding its emissions trend from 2014 to 2016, but emissions started to increase again recently. The overall high rating in the climate policy category reflects the government’s progress on regulating industrial emissions, building emissions and a successful renewable energy support scheme. In the group of very low performers we find almost half of the G20 countries: Japan (49), Turkey (50), Russian Federation (52), Canada (54), Australia (55), Korea (57) and - at the bottom of the index - USA (59) and Saudi Arabia (60). The USA again lost several places due to its low to very low-rated performance in the GHG Emissions, Renewable Energy and Energy Use. The experts from the USA rated the climate policy of the Trump administration very low, but they highlight some positive signals because of climate action in several states and cities and because of the Democrats promise to push climate policy with their new majority in the House of Representatives. Alle Meldungen Von Germanwatch e.V. The Parliament of the Balearic Islands has approved the Law of Climate Change and Energy Transition of the Balearic Islands.